• Beautifully illustrated revision notes. • Over 1000 examples with Grammar Rules. • Over 750 Test Questions with Explanation. Macworld: Grammar Express promises easy-to-follow examples over a 750 in all. 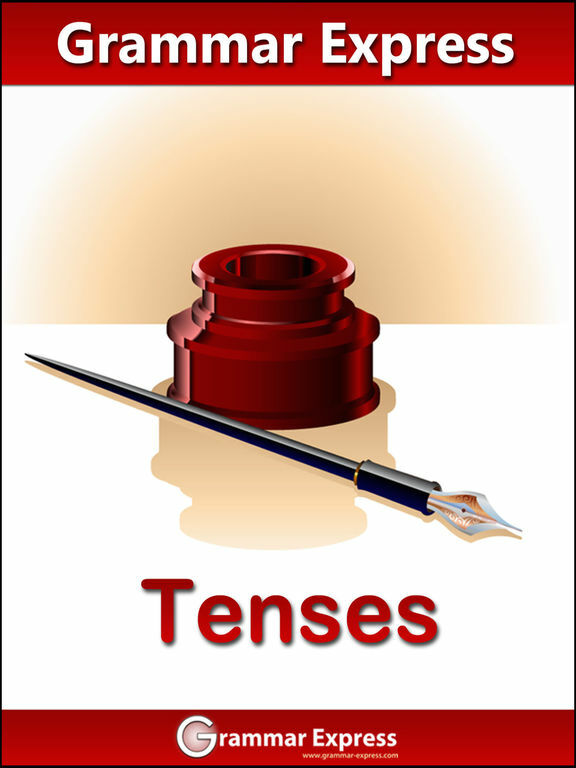 Grammar Express : Tenses is the complete course in mastering English grammatical tenses. 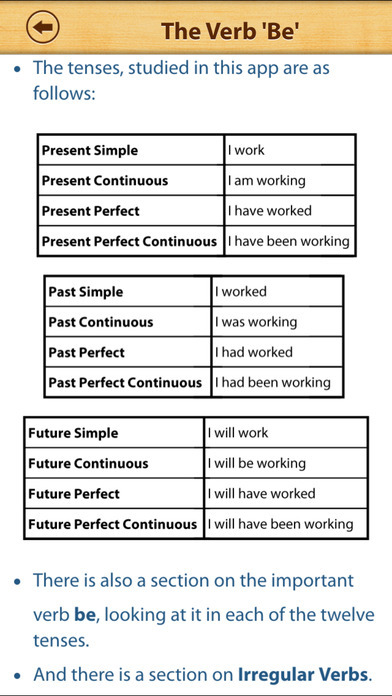 It contains revision notes explaining each grammar tense with several examples. You can learn the grammar rules, study the examples and then test their understanding by taking quiz. 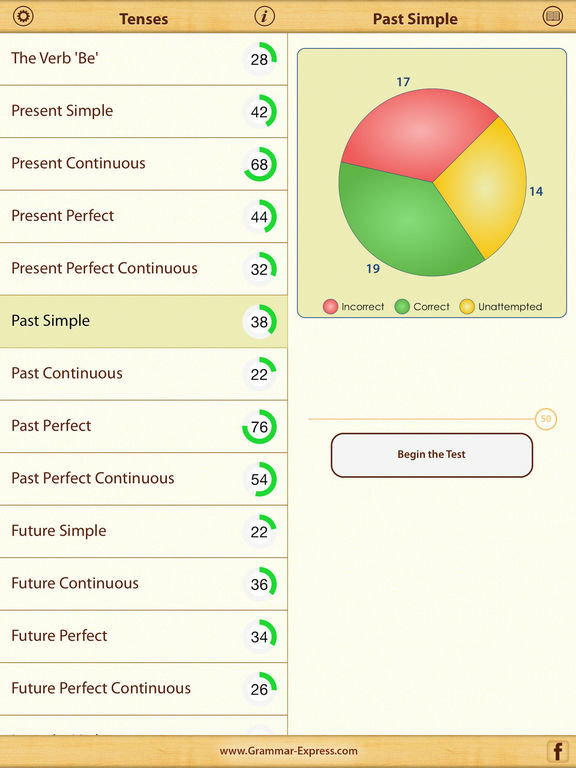 At the end of each quiz the user is presented with test summary and explanation. 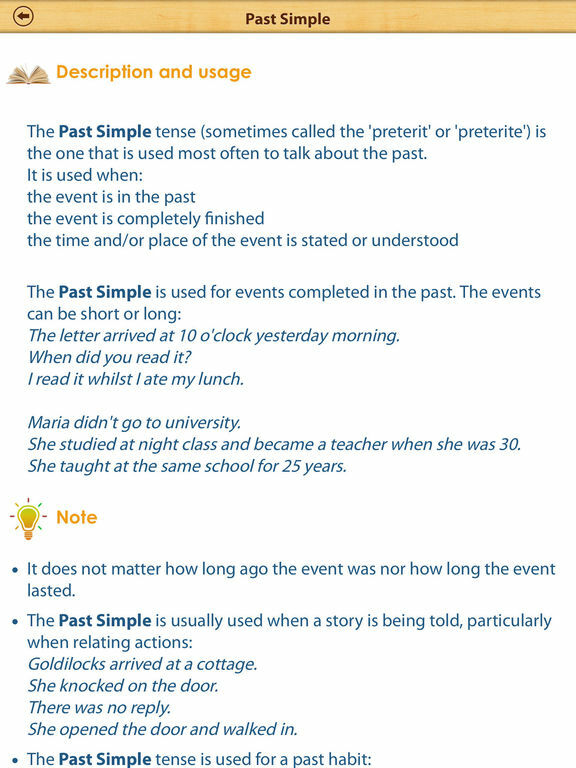 Grammar Express can help you to improve your understanding of tenses and make use of correct form of verb. Custom timer setting can assist you to improve response times under exam time constraints. 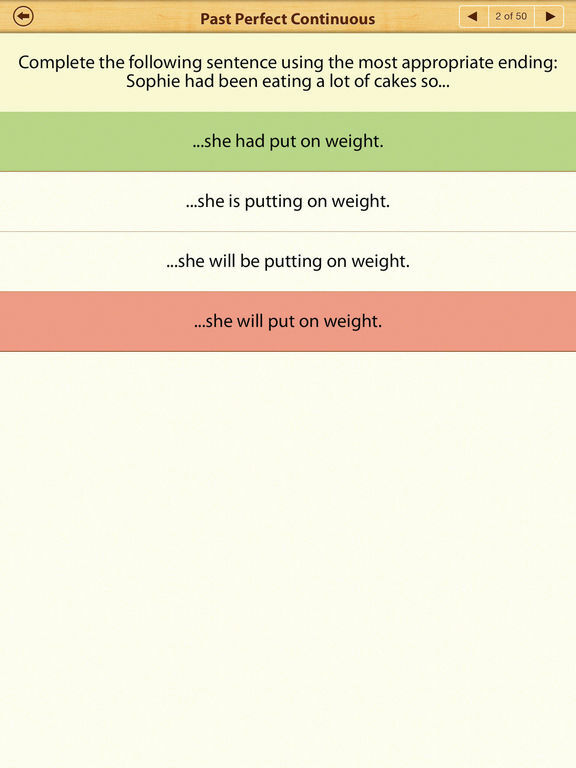 Grammar Express provides learners with an opportunity to improve strategies for grammar success. • Beautifully illustrated revision notes and rules with over 1000 examples. 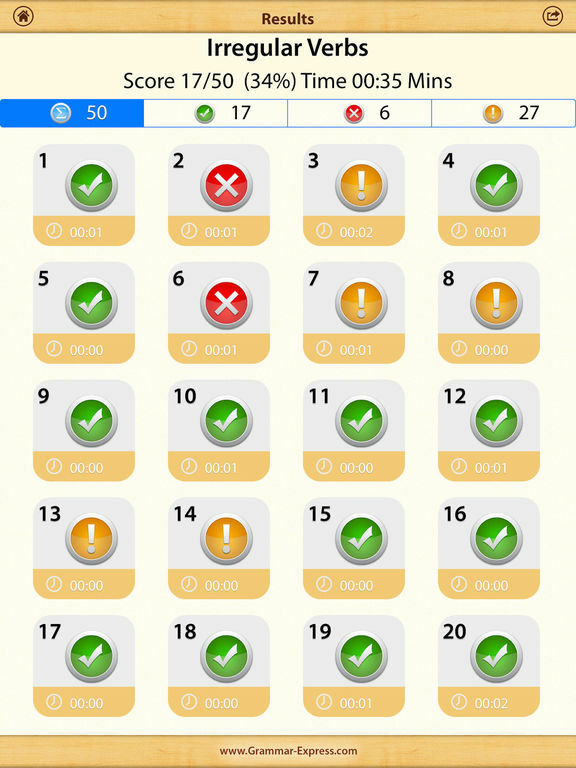 • Over 750 multiple-choice questions with explanation.